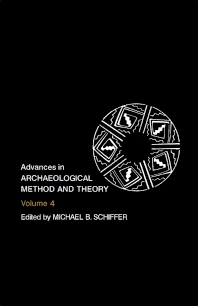 Advances in Archaeological Method and Theory, Volume 4 presents the progressive explorations in methods and theory in archeology. This book discusses the increasing application of surface collection in cultural resource management. Organized into eight chapters, this volume begins with an overview of the fundamental aspects of archeoastronomy and explains what kinds of testable hypotheses that archeoastronomy generates. This text then examines the general implications for the study of cultural complexity. Other chapters consider the use of surface artifacts by archeologists to locate sites, establish regional culture histories, and to know where to excavate within sites. This book discusses as well the interpretative interfaces between archeology on the one hand, and ethnohistory and ethnology on the other, that is based on a theoretical stance advocating a fundamental holistic approach to anthropology. The final chapter deals with understanding the ecology of ancient organisms. This book is a valuable resource for archeologists and anthropologists.